Dermatitis herpetiformis. 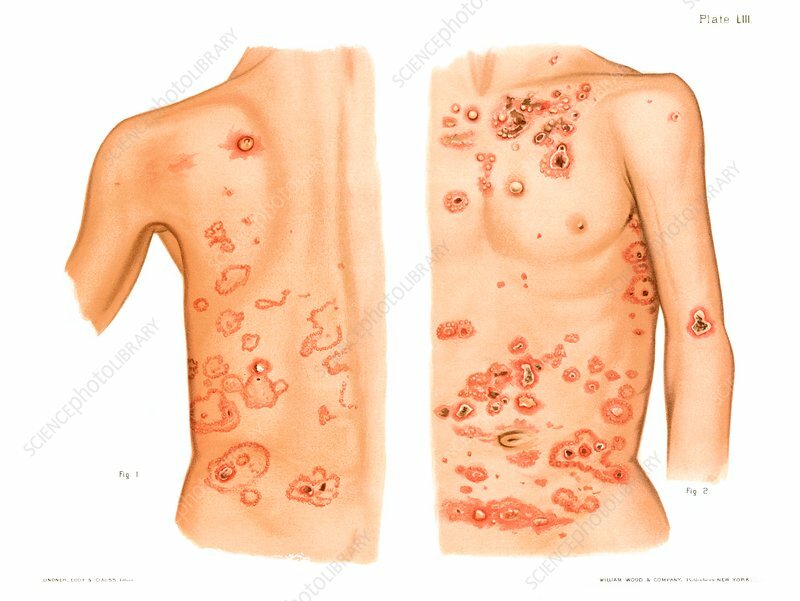 Historical medical illustration showing a patient with dermatitis herpetiformis (or Duhring's disease), a chronic blistering skin condition unrelated to the herpes virus. From Atlas of Venereal and Skin Diseases by Prince Albert Morrow, published in 1889.